March’s best offers for borrowers with the best profiles had an average APR of 4.25% for conforming 30-year fixed purchase loans, up from 4.22% in February. Refinance loan offers were up 11 bps to 4.24%. Mortgage rates vary dependent upon parameters including credit score, loan-to-value, income and property type. 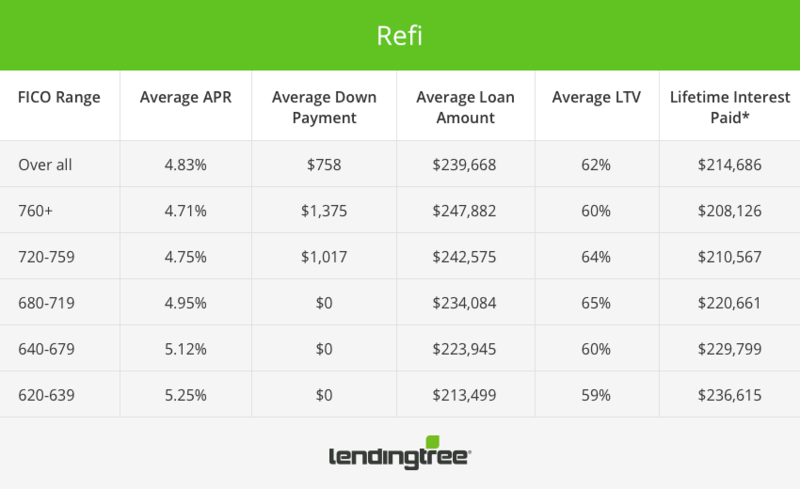 For the average borrower, purchase APRs for conforming 30-yr fixed loans offered on LendingTree’s platform were up 5 bps to 4.85%. The loan note rate hit the highest since March 2016 at 4.75% and was also up 5 bps from February. We prefer to emphasize the APR as lenders often make changes to other fees in response to changing interest rates. 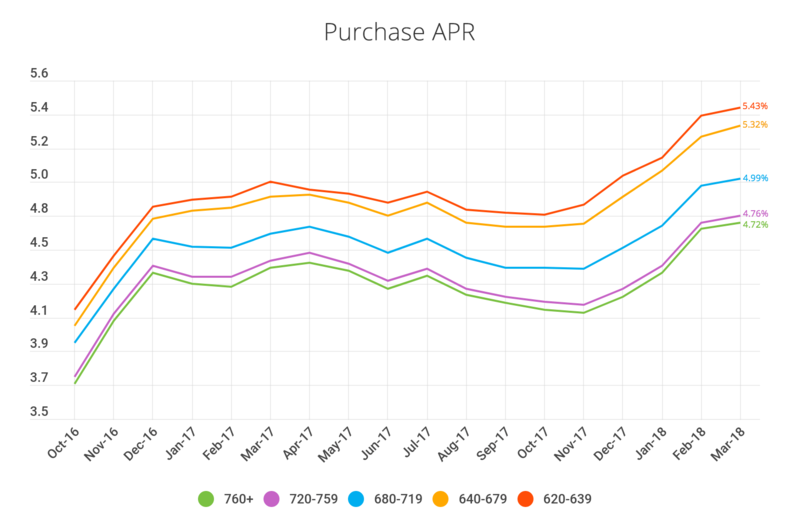 Consumers with the highest credit scores (760+) saw offered APRs of 4.72% in March, vs 4.99% for consumers with scores of 680-719. The APR spread of 27 bps between these score ranges was unchanged from February and still near the widest since this data series began in April 2016. The spread represents over $14,000 in additional costs for borrowers with lower credit scores over 30 years for the average purchase loan amount of $238,593. The additional costs are due to higher interest rates, larger fees or a combination of the two. Refinance APRs for conforming 30-yr fixed loans were up 6 bps to 4.83%. The credit score bracket spread remained at 24 bps, amounting to nearly $13,000 in extra costs over the life of the loan for lower credit score borrowers given an average refinance loan of $239,668. 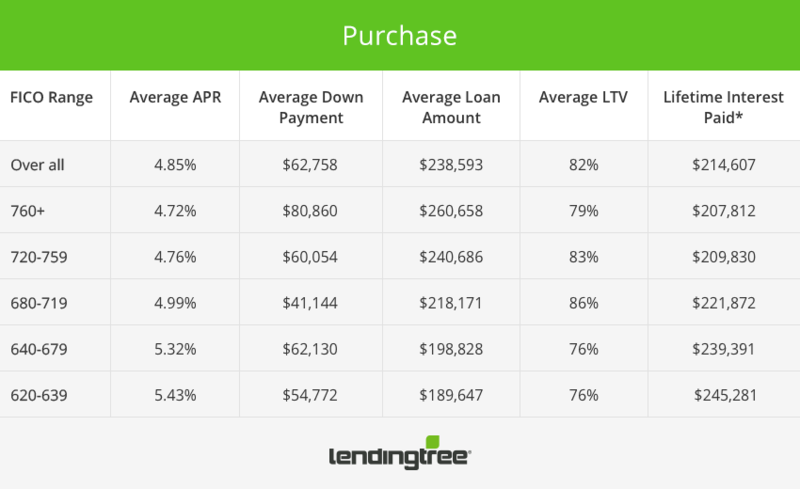 Average proposed purchase down payments were little changed at $62,758.